Local artists tell their story of how they became artists. 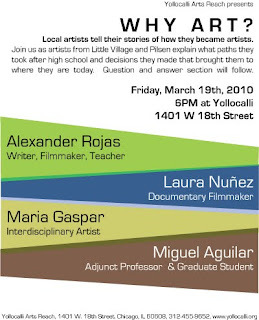 Join us as artists from Little Village and Pilsen explain what paths they took after high school and decisions they made that brought them to where they are today. Question and answer section will follow.